Petswelcome.com / Articles / Planning a Wedding? Have Your Pet Be Part! It’s estimated that we spend a total of $63 billion on animals each year. The pet/companion industry is growing with better food choices, daycares, pet sitting, new and awesome toys, and safer car seat options. And for those of us who going to tie the knot, there are sites that offer services to help include your pet in the wedding and have it be stress free. One couple who heard other couples wishing to include their pets in their weddings, took the initiative and started Fairytail Pet Care. The owners, Kelly and Ilana, offer several services from wedding planning to photo shoots to pet sitting. Fairytail Pet Care’s wedding services provide transportation, love and care, and playtime for your pet. They also help your pet pose with you for your perfect wedding photo and work to seamlessly integrate your pet into the ceremony. 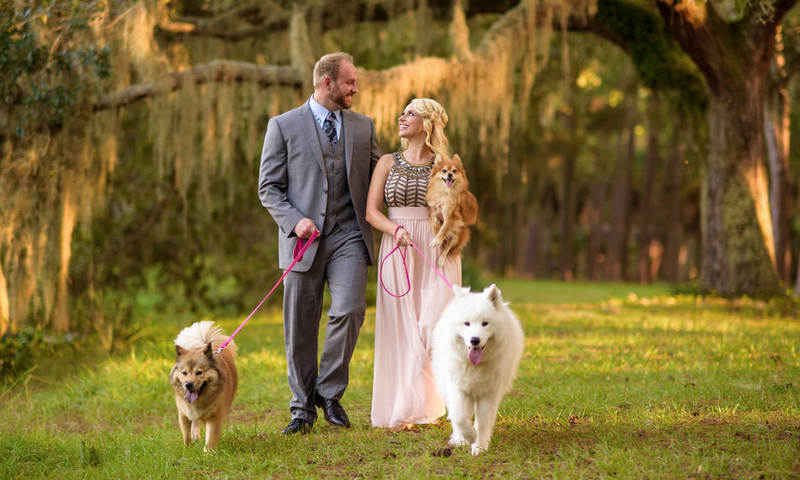 To date, Fairytail Pet Care has been part of 30 weddings. Each wedding has been unique and magical. They even do photo shoots of the big day from the pet’s perspective. To learn more about Fairytail Pet Care, visit their website here. 40 Gifts for Dog Lovers, Perfect for Christmas Holidays!